SAP’s US$8 billion acquisition of Qualtrics will help the enterprise software bolster its experience management credentials short term, but analysts are questioning the wider data integration play necessary for the vendor for long-term competitive edge. SAP this week announced plans to buy Utah-based experience software vendor, Qualtrics, for US$8bn in cash, a move taken just as the latter was preparing for an IPO next. The vendor produces a cloud-based customer and employee research and survey management platform, and was founded by CEO, Ryan Smith, in 2002. Speaking at a SAP user group conference in the UK, SAP executive board member, Adaire Fox-Martin, said the acquisition helped “create a powerful and unique opportunity for customers to mix the operational data of SAP with Qualtrics experience data”. “By combining SAP's Enterprise Resource Planning [ERP], CRM and Human Capital Management (HCM) operational data with Qualtrics experience data she believes SAP can offer “a very unique operational and management system from the first customer interaction, through to delivery and after-sales service,” he stated. The purchase comes just months after SAP rebranded its Hybris business under C/4Hana, a portfolio that incorporates marketing, ecommerce, service and customer data cloud platforms. The move is part of efforts to reflect the vendor’s focus on delivering a comprehensive end-to-end customer journey management ecosystem of products. Across the board, industry analysts and M&A commentators told CMO they’re unsurprised by either Qualtrics being scooped up or SAP’s acquisition appetite. Where opinions differed was on the long-term benefits of the purchase in SAP’s wider end-to-end experience management ambitions. IDC research director for digital engagement and experience, Alan Webber, saw SAP buying Qualtrics as an interesting yet unsurprising play. While it moves the enterprise software vendor beyond its traditional roots, it’s in line with a continued push into the broader experience sphere. Looking at where the experience market is and where things need to get to, Webber said it’s clear the data piece is vital to success. “Organisations have these huge amounts of different data flows, from consumer data to transactional and product data through to emerging IoT [Internet of things] data. That is the foundation for the whole experience platform and economy,” he continued. While SAP’s intention is to leave Qualtrics as standalone within the company for now, Webber said this need to wider data integration means Qualtrics will have be integrated into other SAP products as well as extended beyond its traditional remit. “SAP has done a really good job of other products it’s purchased. But these were standalone largely, sub-servient products. Qualtrics isn’t. It’s going to have to play a role in other pieces of the SAP ecosystem,” he argued. Webber also saw remaining gaps in SAP’s marketing and sales management offering. “SAP has great CRM, but there’s still that integration of all data coming in from places like a customer data platform or sales – these need to be integrated in totality across the enterprise. I see Qualtrics as a little bit of this, but I’m not sure that’s all we’ll see. Ultimately, Qualtrics is going to have to grow beyond being primarily a survey firm to an insights firm to benefit SAP long term, Webber added. Pund-IT principal, Charles King, wasn’t surprised by news Qualtrics had been scooped up so close to IPO, and said the acquisition complements SAP's analytics-based services and initiatives, all of which depend on having quality data resources. “Qualtrics is mainly known for gathering/parsing consumer sentiment and information but about a year ago, it launched a new service focusing on quantifying employee sentiment for HP initiatives. SAP should benefit from both,” King told CMO. For King, the price tag clearly shows SAP paying a premium, although he noted Qualtrics was profitable in its most recent quarter and has a solid roster of enterprise customers, helping justify the final price of the deal. 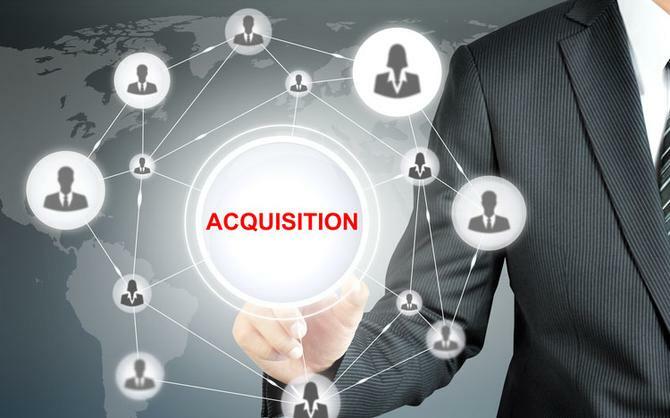 West Monroe Partners M&A Practice senior manager, Chris Stafford, put SAP’s acquisition of Qualtrics into the larger trend in software M&A of increased add-ons. “We see our clients doing the same, to increase market share, enable cross-selling across products, acquire top industry talent, and improve the extensibility of product portfolio capabilities,” he commented. “M&A is essential these days for software companies that want to rapidly expand market share. Stafford was not surprised by such large-scale, top-market acquisitions in the software space, noting many buyers are still flush with cash in the Q4 rush. “The nature of this acquisition – right before a Qualtrics IPO – shows the strength of a software company’s exit options over an IPO,” he said. Stafford also pointed out software company, Apptio, which has just been bought by private equity firm, Vista Equity Partners for US$1.94 billion in cash, two years after going public. “It’s just the state of the market,” he added.